We took an opportunity over the Labor Day weekend to make a trip out to visit Paul's mom in IL. She's still not doing very well, so we wanted to take another chance to let Finn visit with her. 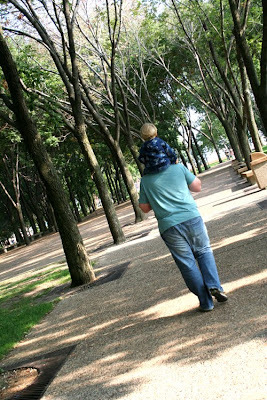 (He was the only one that went with us for the quicky trip.) Finn was quite the trooper over the whole weekend. 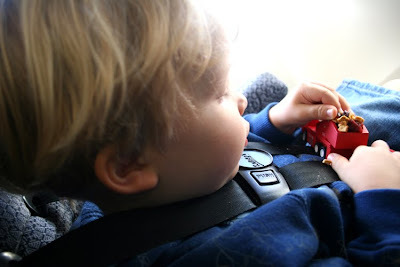 He was a happy plane rider (and bus and car rider, for that matter). 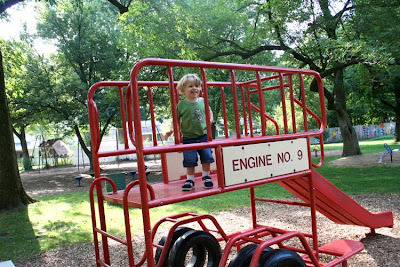 I guess boredom really is the mother of invention because Finn discovered that his firetruck is the perfect little holder for his dried fruit. 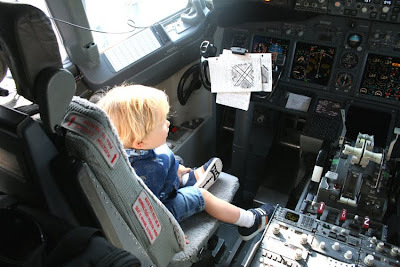 He also managed to charm the pilot into letting him check out the controls of the plane on one of our non-plane-switching layovers. 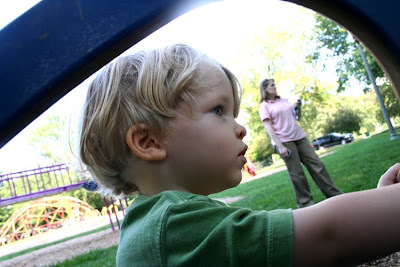 He found some new and cool playgrounds to explore. With so many adults to shower him with attention and cater to his every whim, he was living quite large. 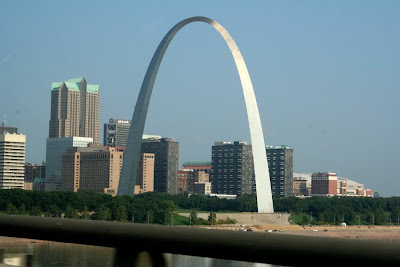 On the way back to the airport, we decided to make a pit stop at the "Gateway to the West." 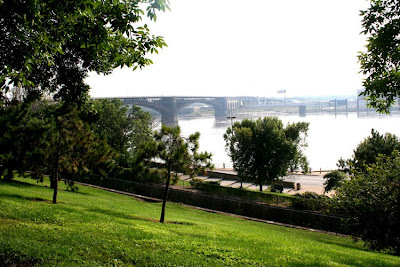 A beautiful national park borders the Mississippi River and hems the Arch area. Finn thought the arch was quite amazing. He wasn't the only one. 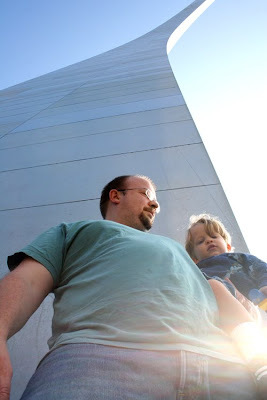 So long, St. Louis (and Paul's family!) We hope to see you again soon! Here's hoping Paul's mom is feeling well soon. Who wouldn't feel great seeing that little Finn face? Sorry to hear about Paul's mom-that's great that you were able to go for a quick trip! Finn is quite the trooper! I love his chubby little cheeks in the first photo. I hope Paul's mom feels better soon :) That arch is amazing wow, it's huge. That doesn't surprise me a bit that Finn charmed his way up to the cockpit. :) What a cutie! I'm so sorry that Paul's mom isn't doing well. We've been doing a lot of traveling for my husband's dad...similar reasons. I know, it's tough. Praying for your family. So glad you guys had such a good time. We thought about you this weekend! 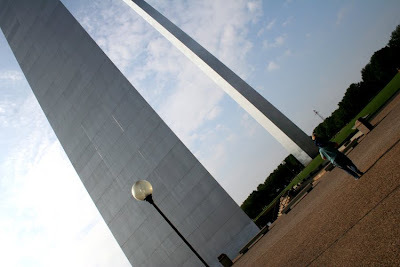 That looks like a great trip-my friend goes to school in St. Louis and I've always wanted to visit!